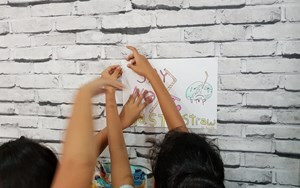 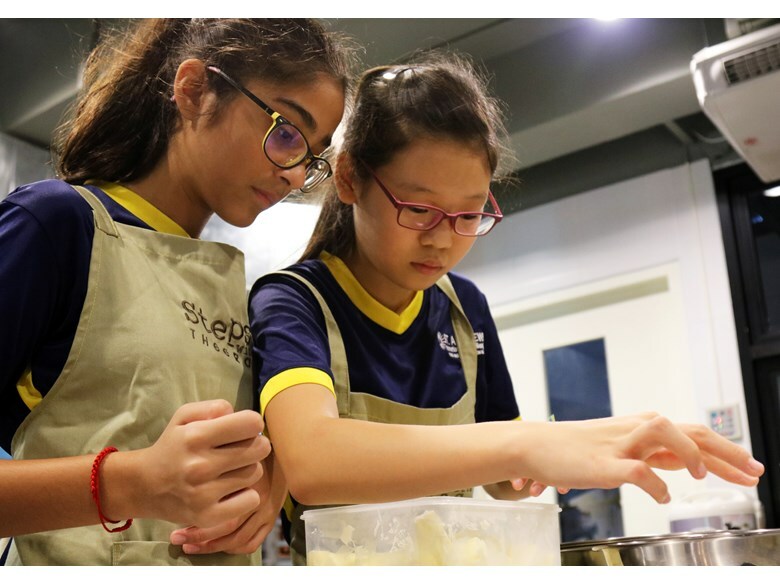 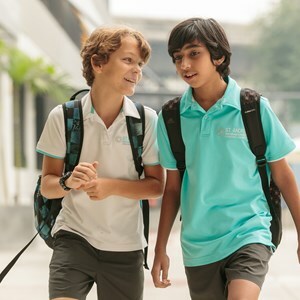 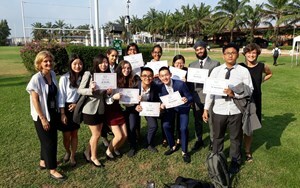 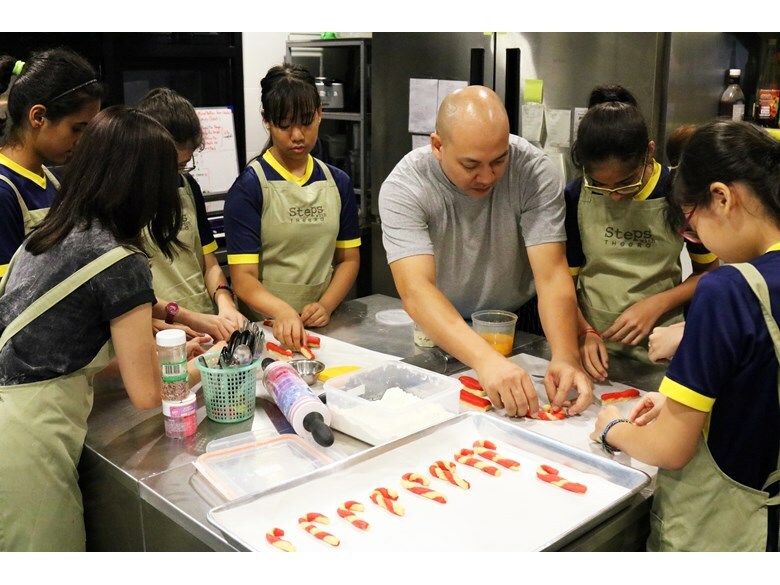 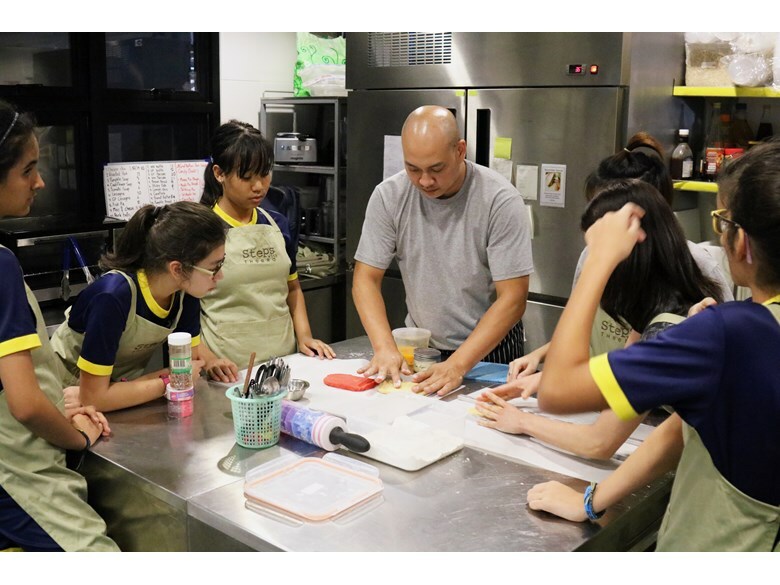 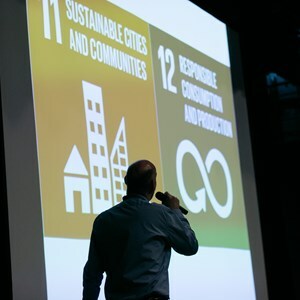 As we approach the festive season, each week a group of lucky St. Andrews students and Mr. Mike head to Ekkamai 10 for an afternoon's Christmas baking in the Steps with Theera professional kitchen. 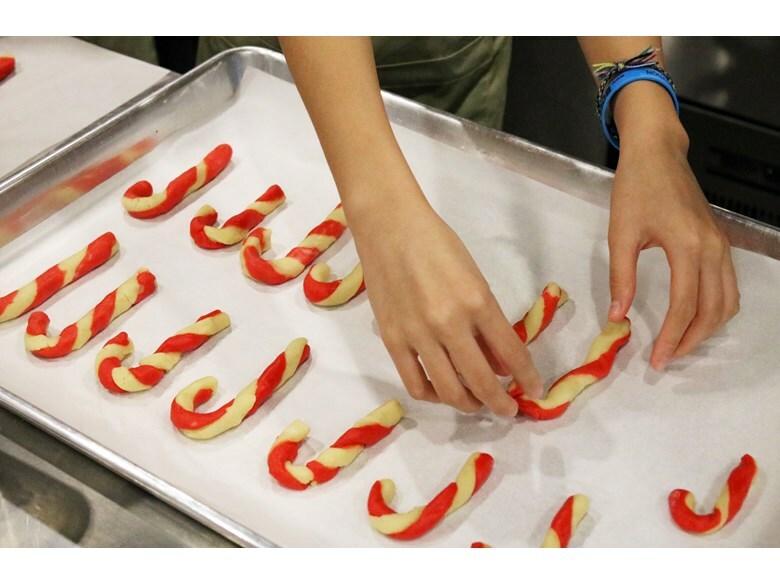 This week the students made delicious gingerbread candy-canes, twisting red and white dough together to create a festive striped pattern. 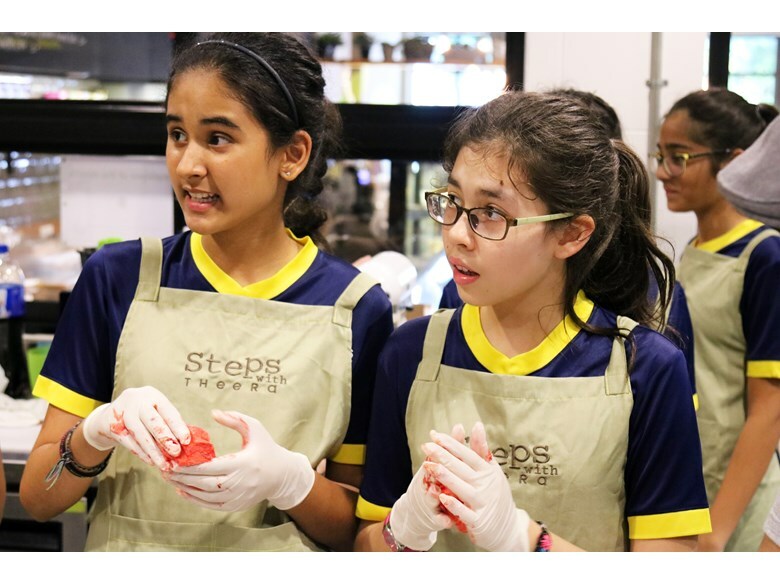 The girls had a lot of fun with the chefs, following instructions carefully and working well together in the busy kitchen. 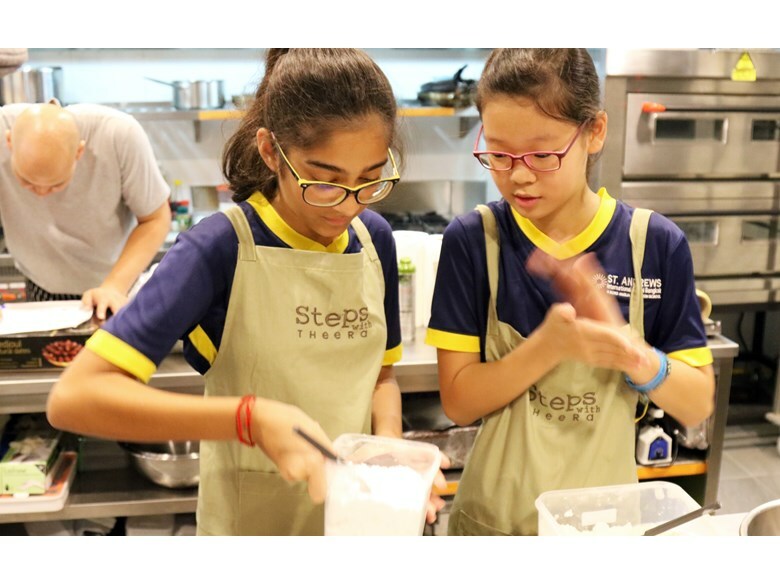 Steps with Theera is a friendly coffee shop and accredited vocational training centre, and the students thoroughly enjoyed their afternoon. 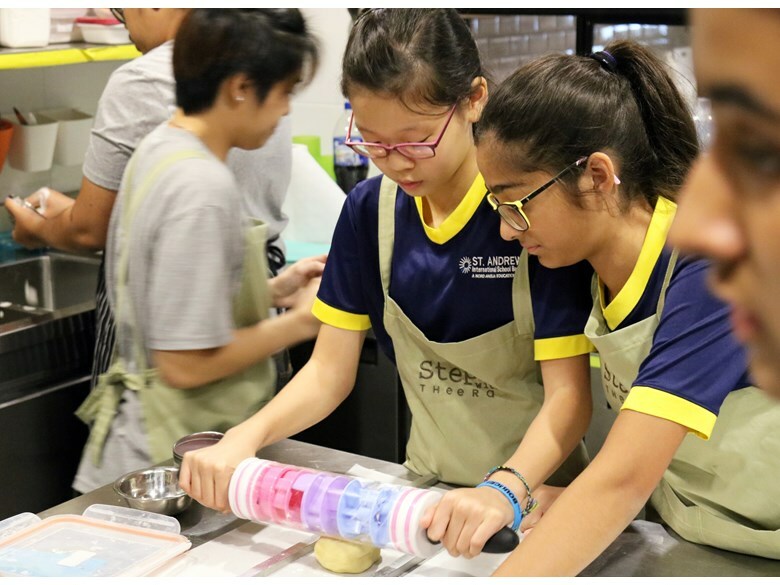 They were especially pleased with their colourful cookies, which we're looking forward to tasting at the Christmas Fair!